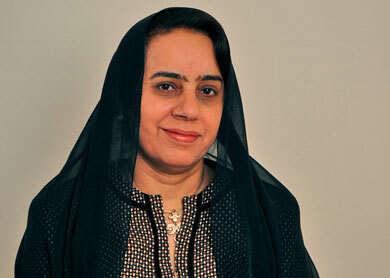 Professor Dr. Rafia Obaid Ghubash is the former President of the Arabian Gulf University (AGU) in Bahrain. She studied at Cairo University to gain her Bachelor of Medicine degree and went on to receive a Ph. 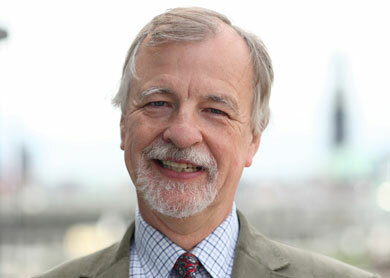 D. in Community and Epidemiological Psychiatry from the University of London. She is also President of the Arab Network for Women in Science and Technology, a network to help women scientists attain leadership positions and to attract more women into science. She is a practicing psychiatrist and she held the post of Dean of the Faculty of Medicine and Health Services at United Arab Emirates University until 2001. Prof. Ghubash has written extensively on Psychiatry and received the Award of Excellence Physicians in 2004. She was also honoured with the Middle East Women’s Educational Achievement Award in 2002. In autumn 2012, Prof. Dr. Ghubash opened the first museum in the United Arab Emirates that is dedicated entirely to the accomplishments of women from the region. ‘Bait Al Banat’ translates to ‘House of Women’ and acts as as cultural center documenting the role of women in the United Arab Emirates throughout its history and into modern times, it also houses historic artifacts that show the history of the United Arab Emirates.